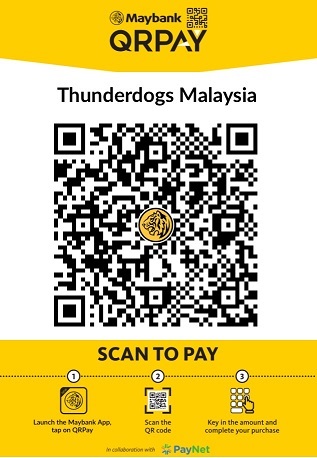 The Muslim fasting month begins tomorrow, and Thunderdogs Malaysia would like to take this opportunity to wish all our Muslim friends "Selamat Berpuasa". At the same time, we would also like to gently remind everyone to keep their pets safe over the next couple of months. As we all know, we Malaysians love our fireworks and fireworks feature prominently in recent times in almost all celebrations. Previously, fireworks were only set off during the Hari Raya celebrations. But this year, in some areas, the fireworks have already started even before the start of the fasting month. Our pets, dogs, cats and other small animals, unfortunately do not appreciate fireworks and some get extremely frightened, confused and disoriented. Make sure your dog or cat always has somewhere to hide if he or she wants to and has access to this place at all times. For example this could be under some furniture or in a cupboard. During firework seasons, walk dogs during daylight hours and keep cats and dogs indoors when fireworks are likely to be set off. At nightfall close windows and curtains and put on music to mask and muffle the sound of fireworks. If your pet shows any signs of fear try to ignore their behaviour. Leave them alone unless they are likely to harm themselves. Never punish or fuss over your pet when it's scared as this will only make things worse in the long run. Make sure your cat or dog is always kept in a safe and secure environment and can’t escape if there’s a sudden noise. Have your pet microchip-ed in case they do escape. This can help you identify your pet should someone find him/her. 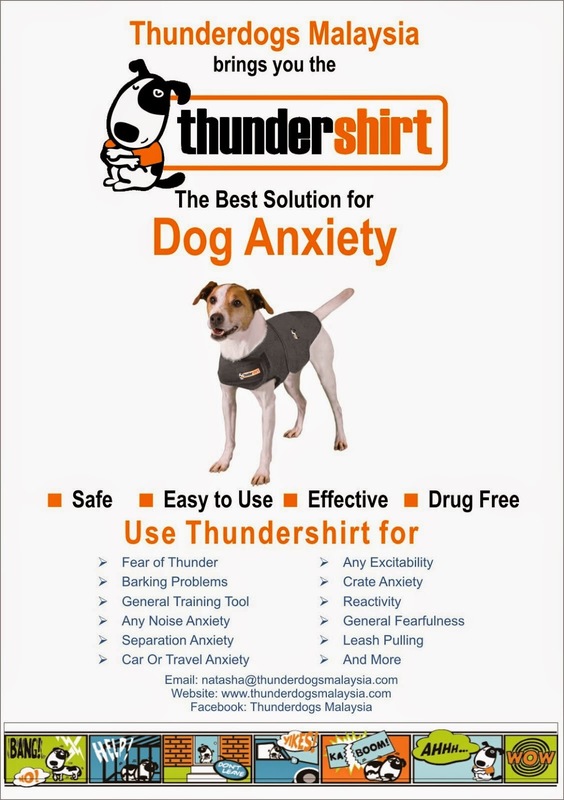 Consider getting a Thundershirt to help ease your pet's fears. Planning ahead can help your dog cope with the firework season. Before the firework season starts provide your dog with a doggy safe haven, this should be a quiet area so choose one of the quietist rooms in your home. It should be a place where the animal feels it is in control, so don't interfere with it when it's in that area. Train your dog to associate the area with positive experiences eg. by leaving toys there but not imposing yourself at any time. Use a variety of toys and swap them regularly, putting them away when not in use so that your dog doesn't become bored with them. With time your dog can learn that this place is safe and enjoyable. So when fireworks happen it may choose to go here because it knows that when it is here, no harm will come to it and so it's more able to cope. It is important that your dog has access to its doggy safe haven at all times even when you’re not at home. If you have a Thundershirt for your dog, put it on your dog before the fireworks start to help keep your dog calm when the fireworks do start. Close any windows and black out the ‘doggy play area’ to remove any extra problems caused by flashing lights. Each evening before the fireworks begin, move your dog to the play area and provide toys and other things that they enjoy. Make sure that there are things for you to do too so that your dog isn't left alone. Ignore the firework noises yourself. Play with a toy to see if your dog wants to join in, but don’t force them to play. If you know a dog that isn't scared by noises and which gets on well with your dog, then keeping the two together during the evenings may help your dog to realise that there’s no need to be afraid. Make sure your cat has somewhere to hide if it wants to. For example this may be under some furniture or in a quiet corner. Don’t try and tempt your cat out as this will cause it to become more stressed. If your pets live outside, partly cover cages, pens and aviaries with blankets so that one area is well sound-proofed. Make sure that your pet is still able to look out. Provide lots of extra bedding so your pet has something to burrow in. Have given some thought to getting Sascha Belle a thunderdog shirt. She's pulling her fur out. Not sure why but I don't want to give her more steroids so I think I should order the shirt to at least hopefully calm my kitty down. I do think it will help... Let me get the sizing info for cats, and then you can let me know what size you need. Will bring it in with my next shipment of thundershirts..
Small 9" up to 13" < 9 lbs. Medium 13" up to 17" 9-13 lbs. Large 17" up to 24" > 13 lbs.